Let’s welcome with open hands some of the best rubber hex dumbbells and thank the universe for giving even a hex shape for a dumbbell! 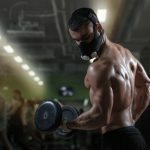 If you haven’t been friends with hex shaped dumbbells or even rubber dumbbells, then that’s about to change, my friend. Read on and we believe you will come to love rubber hex dumbbells, just as we have. You’ll see why they are the best purchase you can make today! What Exactly are These Rubber Dumbbells? Rubber dumbbells are one of the best fitness equipment ever produced. The rubber layer helps protect your equipment from damaging and also protects your floor in your home. The rubber layer also reduces noise while re-racking weights or while exercising with the dumbbells. The rubber also helps prevent corrosion and rusting. 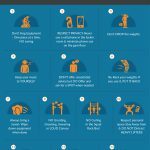 Iron dumbbells are riskier than rubber dumbbells when using. 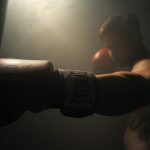 That simple reason alone is enough to pick the best rubber dumbbells over iron dumbbells. 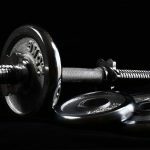 Some benefits of using the best rubber dumbbells include waterproof, flexibility, and the attractive designs. 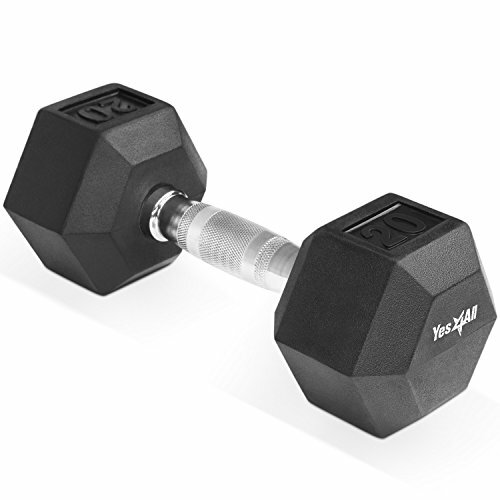 Iron dumbbells are one of the most common traditional types of hex dumbbells. Iron dumbbells are made available in different styles: one-piece, adjustable dumbbells, and selectorized. Rubber hex dumbbells are iron dumbbells that are coated in rubber. This dumbbell may have rubber plates and rubber coated balls. These rubbers are produced from tree sap or might also be synthetic. They are either waterproof or flexible. Both rubber dumbbells and iron dumbbells come in different varieties of grip. The straight handles are one of the most common, different textured grips and coated grips are all made to suit all preference. Coated grips help to avoid slipping when exercising due to sweat. The rubber hex dumbbell grip also helps to avoid fatigue. Cost varies between dumbbells, meaning you get what you pay for. Rubber hex dumbbells are cheaper than iron dumbbells. Rubber hex dumbbells are safer to use rather than using chrome or iron dumbbells. No matter the type of hex dumbbells you decide to use, it is vital to be cautious and careful during exercises to avoid injuries. 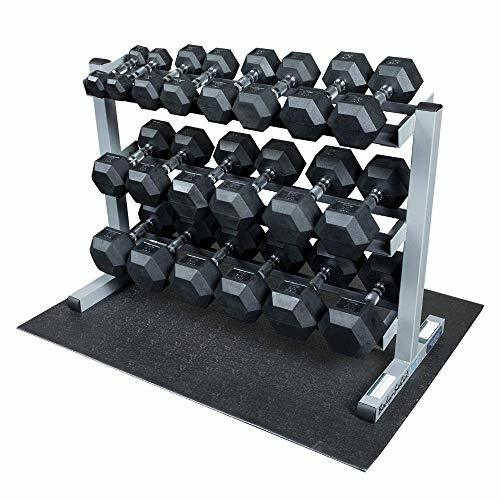 Storage: Make sure you are buying a dumbbell rack to keep your rubber hex dumbbells in order. 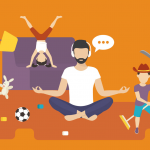 No one likes a roughly arranged hex dumbbell. Use of mobility and space: The best part of using rubber hex dumbbells is that they don’t roll away. 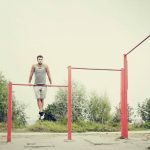 Rollaway dumbbells can cause accidents by tripping. Floor Protection: Rubber hex dumbbells are best for both home and commercial gym because they don’t ruin the floor when in use. The rubber coating at the edges of the hex dumbbells provides an obstruction to keep your floors intact when dropping the dumbbells. Weight Range: Rubber Hex dumbbells weights are starting from 1lb, but most people don’t use any dumbbell less than 10lb. The weights depend on whether a woman or man use it or are used for strength or toning training. 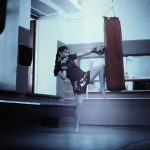 For toning, if a man uses it, you might probably not want more than 20lbs, for a woman, might also not want more than 12lbs. 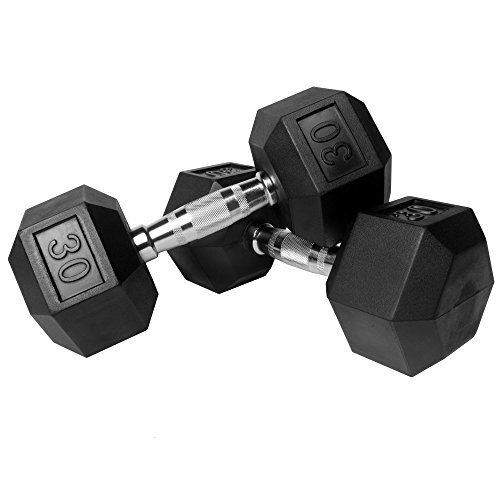 Durability: Rubber hex dumbbells are produced to be thrown Keep away from the reach of the sun to prevent the rubber from expanding due to heat from the sun. What makes the rubber hex dumbbells better is that they don’t roll over when dropped, unlike the round shaped dumbbell. And the hex shaped dumbbell is more suitable for the pushup exercises and are safer to use. Rubber dumbbells don’t peel off like iron dumbbells which makes them more pleasing. Doesn’t scratch the floor, unlike iron dumbbells. Rubber hex dumbbell coating takes more space on the rack. Some rubber coatings do causes staining due to the greasy texture. Some rubber coatings do have a bad smell. 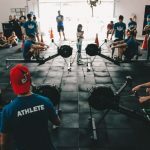 The best rubber hex dumbbells for the home gym are all picked based on the level of safety, fellow user experience, and fallibility. 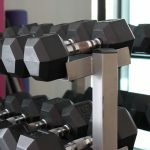 Dumbbells are part of the essential equipment needed for building your home gym. Below are our recommended hex dumbbells for the home gym. Review: Titan fitness rubber hex dumbbells come in different length. These length differences can take some time getting used to them. The only fault of the titan hex dumbbells is they have no uniform length. The titan fitness hex dumbbells have a total weight of about 150lbs. The titan hex dumbbells also come with a complete set of 10 dumbbells. The difference in shaft length. Weights are only up to 25lbs. Review: The Yes4All are another affordable hex rubber dumbbells made available. The Yes4All rubber dumbbells have a shaft size of about 33mm vs. 28mm. This might bother people that have smaller hands. One of the unique features of the Yes4All rubber dumbbells is the uniform shaft. Has a 5-inch shaft across all dumbbells. Doesn’t crack when they are dropped; well made. No dumbbells are heavier than 50lbs. There is no weight increment between 25lbs and 10lbs. They don’t come in pairs. Review: The Xmark rubber dumbbells are known for their quality. It has all features expected for a rubber hex dumbbell to possess. It has both in a pair and single, meaning you can pick either you want a couple or single. This makes it costlier than other rubber hex dumbbells. The rubber coating on the edges makes it harmless to your floors in your gymnasium or at home. Better quality than other rubber hex dumbbells. The rubber odor wears off quickly and fast. 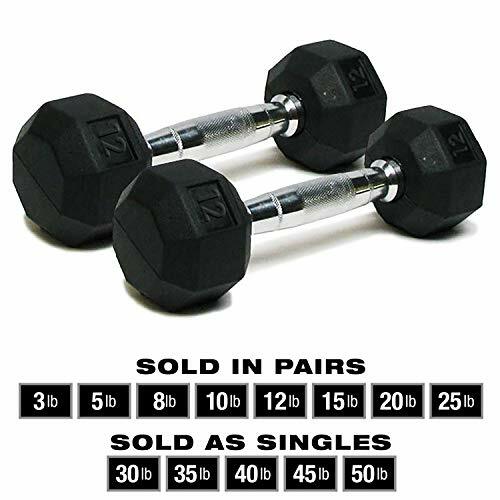 All the weights are sold in pairs. The rubber coating is thin. They are pricier compared to other dumbbells. Doesn’t have 5lb size dumbbell. 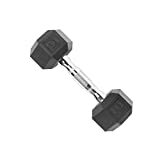 Review: The minimum weight of JFIT pair of dumbbells is 5lbs which cost more than other dumbbells of this size. 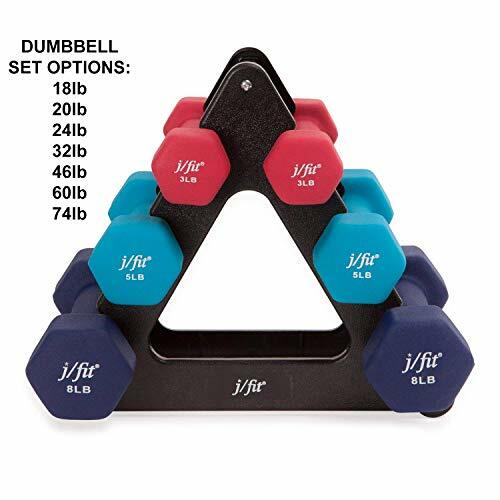 The JFIT brand provides you with varieties of dumbbells to pick from. The JFIT brand comes with different features you might need; from coated with rubber elastic for hex shape, comfortable grip, and preventing floor damage. Has a perfect and comfortable grip. Too expensive for its size. Review: The CAP rubber dumbbells are made from solid steel and also have an elastic rubber coating on both ends. They stink more compared to other rubber hex dumbbells. The CAP brands are known for their quality but are also cheap. The shaft of the CAP rubber dumbbells is wider at 35mm. 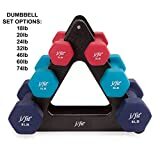 Has good value among other heavier rubber hex dumbbells. Has a lot of weight increment. The elastic rubber smell takes time. Review: The best part of getting the body solid rubber hex coated dumbbell is the grip. The only thing we can complain about is the smell. The worth for 100lbs of the body solid rubber hex coated dumbbell is quite okay. This body solid rubber hex coated dumbbell is perfect because it is capable of resisting fading, cracking, and protecting your floor. You can easily choose more than one from different varieties. 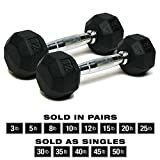 They are cheap compared to other hex dumbbells. They do have a lasting odor. Review: The SPRI rubber deluxe hex dumbbells feature the handles that are made with chrome and have contoured design. They are easily fitted in your palm and allows you to complete your exercise with confidence. Are also sold in pairs. Has some weights made available, which is rare (12lb, 8lb, 3lb). No dumbbell is over 50lbs. Always remember to know what you need your best hex dumbbells for before purchasing. 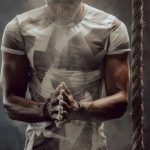 Know the type of result you will be expecting and who would be using the dumbbells. 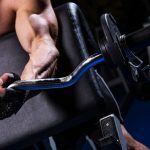 Choose the best hex dumbbells that have good reviews and has been tested. 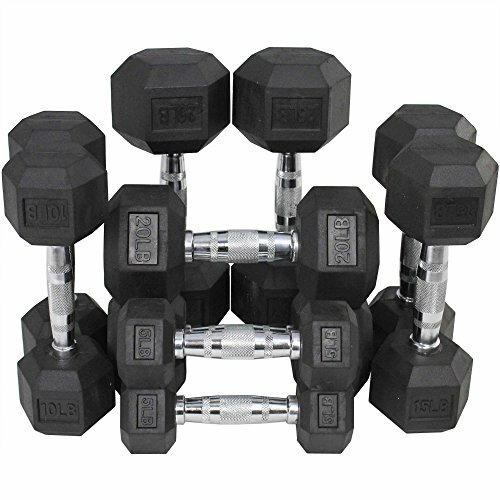 The above-mentioned rubber hex dumbbells come in different styles and are also the best. No one prefers a runaway dumbbell that’s why now they choose hex shape dumbbells. If you do have a question or contribution, leave them below, and we will respond as soon as we can.